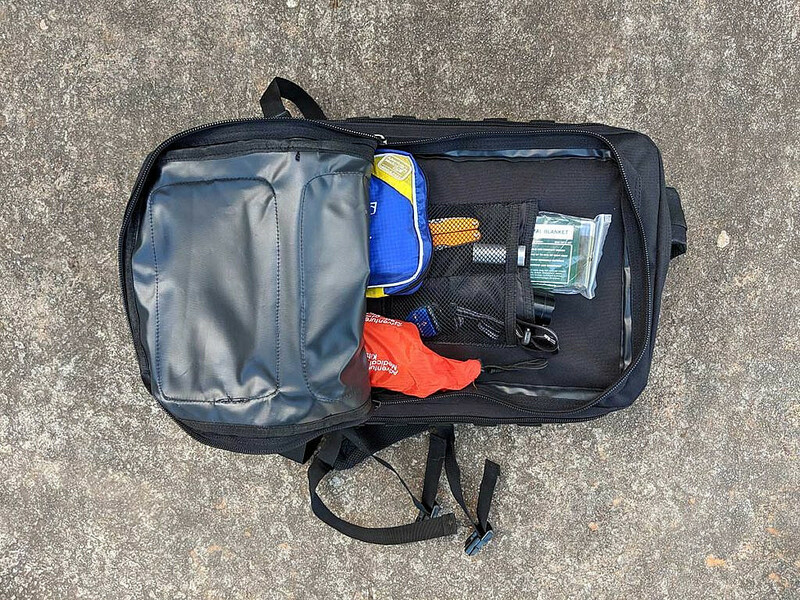 What’s In Your Road Emergency Bag? Putting your kit together does not need to cost a lot. You likely already have many items floating around. We are on a tight budget right now. For the stuff on my list, I bought or have most of the exact items, so you can be assured that I researched thoroughly (one thing I do well!) the best items for the buck! **Photos do not show all of the items on the list! If you live in the Atlanta area, you likely remember a cold day with some loose ice predictions five years ago. That day ended with countless people having to abandon cars, spend the night in cars, panic with no place to go, walk countless miles to get to warmth, safety and family members. A friend reached our house on foot still 10 miles away from her home, reduced to tears: frigidly cold, frustrated and scared. We love exploring roads and areas off the beaten path. Aside from the beauty and thrill of the adventure, any number of things could go wrong. Ladies (and men too, if that’s your thing): How often do you get in your cars in your dresses and heels? Do you have a pair of socks, running/hiking shoes and pants in your car just in case of the unexpected? Before you even start going down this list, that is something easy you can do now! There is a condensed list without explanation at the bottom of this post if you would prefer to just, bam bam boom boom, put the items in your cart. Please comment with any thoughts or other things you put in your bag! The actual bag. Let’s start here. Ideally, you want a bag that can be easily carried, such as a backpack. A crate can keep everything together, but it is hard to carry. I just ordered this pack. The price was good, it is sturdy and the perfect size. Am I going to hit the catwalk with it? No, but I hope that its biggest use is to serve as peace of mind in the back of my car. I LOVE the compartments in it, and I LOVE that there is an 11×14 inch slip pocket right against my back where I can put a last-minute notebook, documents, planner or even my laptop. I like the external webbing as well, so that I have the option to keep a few things even more visible and handy and maximize internal real estate. For that purpose, I got this handy attachment kit for tactical packs/vests. I do nerd out on some things. My husband, being more of the outdoor ‘aesthetic’ guy, harassed me for not ordering this bag off his list. It is a tiny bit smaller than my pack and, in his opinion, is sexier. Whatever. His is also a good pack nonetheless. Water bottle. In Georgia, you often don’t have to worry about prolonged freezing temps, but occasionally it does happen. If you really want to protect that water from freezing in any area, add some salt to your water (and perhaps pack some sugar packets in your bag to off-set the salt when drinking!). For any season though, this water bottle is the bomb (I am actually purchasing these now). I love that it opens from either end while being spill-proof (that is helpful at freezing temps too!) and is hygienic. The price-point is good enough to use these everyday as well as have one or a few stored in your ‘OMG’ car bag. By the way, I think that it is also just a good habit to bring some water with your every time you get in your car, so that you have some hydration that is a little more temperature appropriate regardless! Snacks. Honestly, Target and Costco are the bomb for trail mix and high protein bars/snacks. Want a link anyways? This mix is one of my favorites (at Costco too). I always shy away from trail mix with raisins, since they are toxic for dogs, so this one is perfect. Blankets. Wool is great, this blanket is 90% and the best bang for the buck. Emergency thermal blanket. I LOVE that this one is a 4-pack for an incredible price! My lucky husband got these as stocking-stuffers. This one is also great; it is ideal for 2 people or one larger person. Duct tape. I just got these two rolls! Compact, easy to carry, perfect. Flashlight and/or headlamp. You can always find us with both! 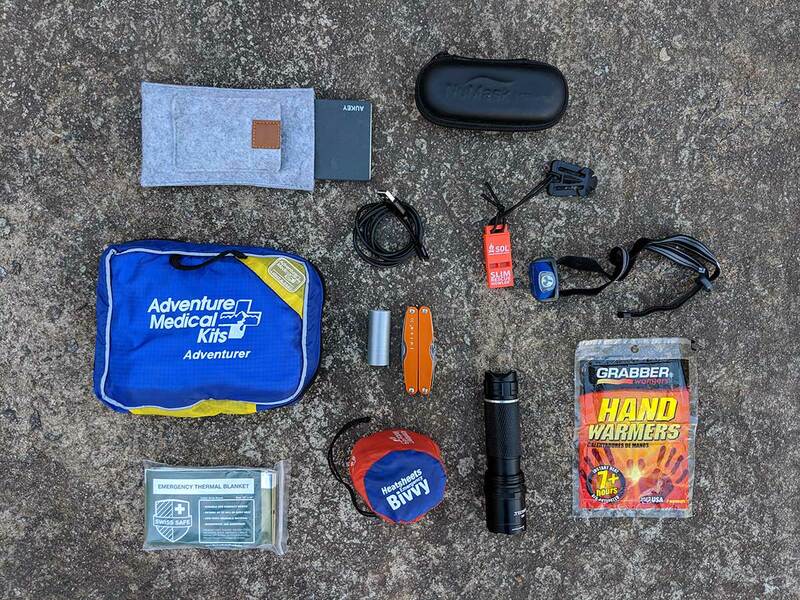 We love this durable flashlight as well as this emergency headlamp with carrying case similar to ours. Emergency Whistle. I ordered these whistles. I recommend having one in your bag as well as one within your reach in the driver’s seat. Rain gear. Throw a poncho or old rain jacket in your bag. Rain pants as well if you would like. Hat + Gloves + Jacket + Pants. I put in my old puffy jacket. It has stains and is quite unfortunate looking, but it packs a ton of warmth while packing down perfectly. I put two hats in, just because it doesn’t take much room and a hat is one of the best small items to keep warm. I also put in an old pair of gloves and a pair of thermal pants. I’ll probably upgrade my gloves to a better pair sometime soon. I am not adding links for any of these items; hopefully you have these laying around or can just get something second hand to suffice. Shoes. Ideally, some decent tread running shoes or hiking shoes. If you have some extra Gore-tex footwear laying around, even better. If not, see below about my personal sock recommendation. Socks. Since not all of us can keep a pair of Gore-tex shoes in our bag, I highly recommend a pair of waterproof socks! I got a good pair in a pinch on our honeymoon for snow hiking when I forgot my Gore-tex boots and they worked BEAUTIFULLY. They have held up so well that I am putting mine in my car bag. Here is a great comparable pair. Multi-tool with knife. 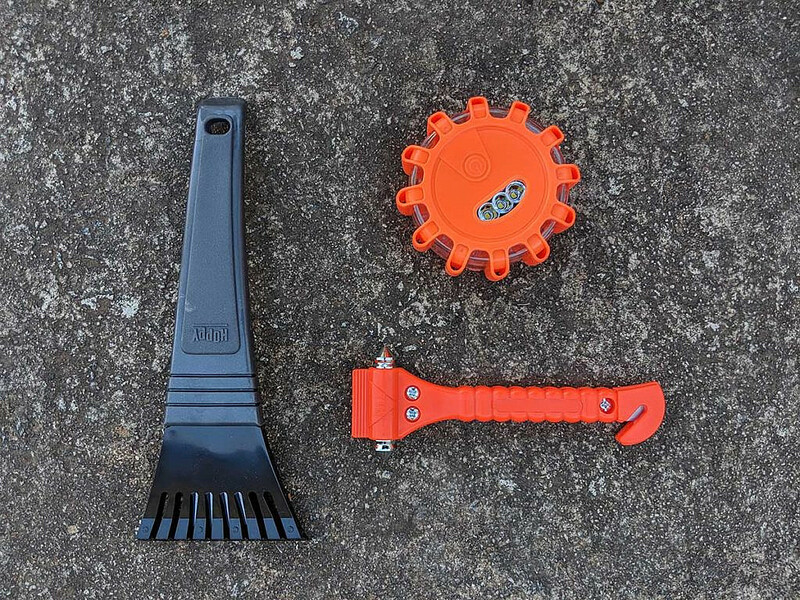 There are countless mini-tools on the market. I have been guilty of keeping el-cheapo in my Ski Patrol fanny pack, and guess what? It sucked when I needed it and was trying to utilize it with cold butter fingers. If you want to shop around, please do. But there are certain brands you just can’t go wrong with. Here is a Leatherman similar to mine at a great price. You can get the more pimped out Leatherman’s like this one. Or go for a different brand, but please read reviews and make sure that there are a LOT of reviews to read. Hand or whatever warmers. These are great and only 6.95 at the time I am adding these! Enough said. First Aid Kit. If you just want the basics, then grab a great pre-packaged first aid kit such as this one similar to mine (it even has an emergency blanket in there). If you have some specialized first aid skills, supplement with additional supplies. For example, a tourniquet is very straight-forward to use now (versus when I initially got my Winter Emergency Care certification). This is the one I have by Recon. If you want to shop around, please be very wary of cheap tourniquets; you do not want a cheaply made one when you need it. I also like to carry my CPR mouth-to-mouth barrier by NuMask (not available without license on Amazon), but many other options are out there. Large Zip Lock Bags. Although gallon storage bags will work for a lot, I ordered these 2.5 gallon bags that are often difficult to find in stores. Not only are these great to throw in your OMG bag to organize, keep things dry, have on hand for anything, but I cannot tell you how many organizational duties these have done around our house! Always a good idea to label bag contents on the surface with a Sharpie! Quikclot (to go with your first aid kit): I actually have this in my first aid kit, and will need to buy more this year as it does have a shelf life. I have this Quikclot gauze, which I thankfully have not had to use. This excellent brand also makes a Quikclot sponge (this is the 50 gram one which is currently less than $2.00 more than the 25 gram sponge). This amazing product, as it is now, was not a thing when I first put together my Ski Patrol first aid kit that stayed in my car. My Dad could tell you about some horrible car wrecks that he has come across (a first-on-scene civilian who has been a literal angel in some of those cases), for which this product would have come in very handy. Roll of toilet paper! It doesn’t cost much nor take up too much room, but I don’t need to describe the ways that can come in handy! On that note, please do pack a few small zip lock baggies to carry any used tp away. Yeah, it’s kinda gross, but we believe in a ‘pack it out’ mentality! Jumper cables. Watch any number of training videos to ensure that you know how to use them. If you really want to get serious, consider a jump starter and ensure that it is adequate for your vehicle. I found them ranging from $60 to $200 and up, just make sure to find one that is compatible with your battery/vehicle. Ice Scraper. Yes, even in Georgia. I just got a 2 pack of these cheapies with good reviews! Safety hammer / seat belt cutter combo. I have one on my visor like this, but I also just ordered these too as I like the bigger feel. I have luckily never had to use one, but these get great reviews. Emergency Whistle. The whistle that I listed above comes in a 2-pack, so I keep the extra one handy to the driver’s seat. Road ‘flares’. When I first started driving, options in this department were limited. I just got these incredible LED road flares, visible up to a mile away. These come with batteries in the bag but not in the 3 LED road flares, so I went ahead and put the batteries in one to have it ready to go. There is a great little mini-screwdriver in the bag as well to make putting batteries in quick. These really can be a life-saver and you are likely to be in a place where you need other drivers to see your stopped car immediately. That’s why I recommend keeping them handy when you’re in the driver’s seat rather than back in your OMG bag. I love the portability of my car bag for going places as a family. On weekends, we often all pile into the truck and head out on our adventures. 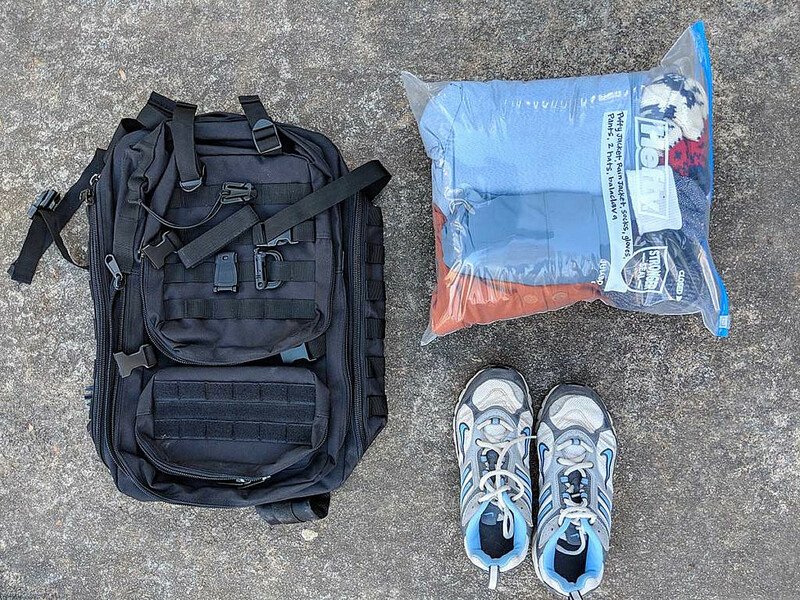 I just grab my car bag and throw it in the truck, in addition to our other supplies and gear, so that I always have plenty of provisions handy. Many parents have some extra essentials in their cars for their kiddos. Just make sure that if you have little ones you have accounted for them in your planning as well. On many items I include Amazon links due to the ease of Amazon shopping as well as the bargains. My hope is to be helpful and save you $$ while you put together what I consider to be an essential for every vehicle. As an Amazon Associate I do earn from qualifying purchases.